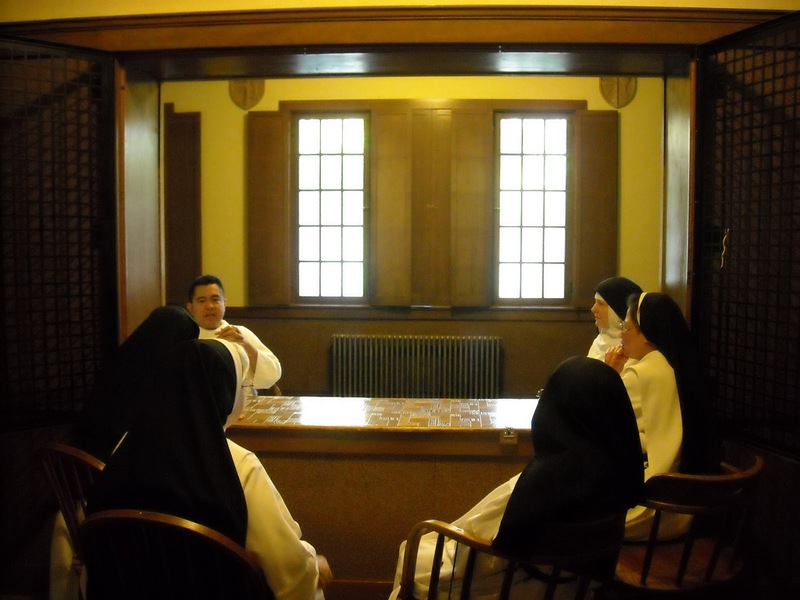 Dominican Nuns: A Visit from a Wise Friar of the East! 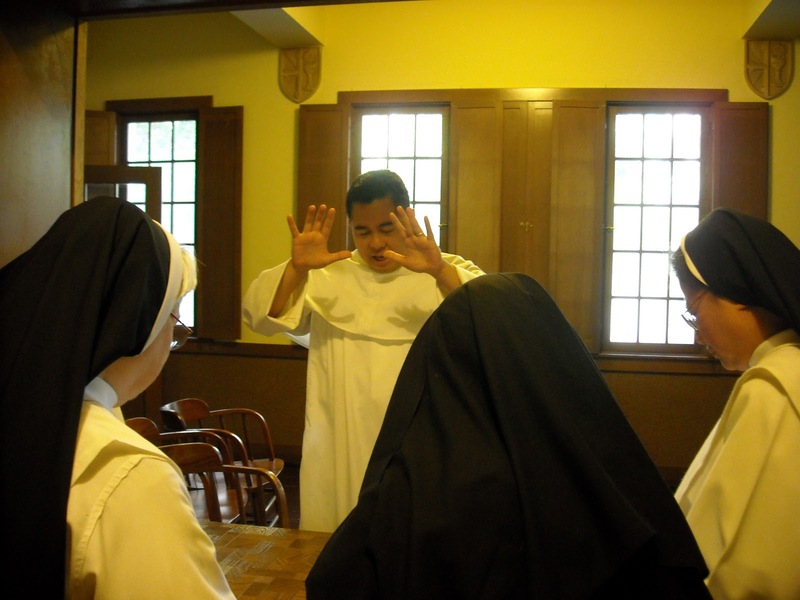 This past Sunday we enjoyed a brief visit from our Dominican Father, Father Nicanor Austriaco, O.P. of the Eastern Dominican Province, the Province of St. Joseph. 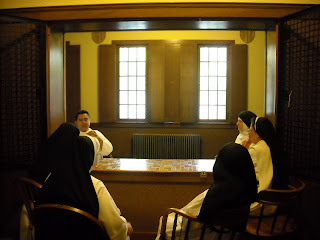 Father came to the Dominican School of Philosophy and Theology (DSPT) in Berkeley to discuss the insights that Aristotle and St. Thomas Aquinas can offer to scientists today concerning the nature of interactions in biological systems. Father Nicanor is a brilliant young friar who has an undergraduate degree in engineering (Bioengineering) from the University of Pennsylvania, and a doctorate in microbiology from MIT. He has been a Scientific Advisor to the National Catholic Bioethics Quarterly since 2001 and currently holds the position of Assistant Professor of Biology at Providence College, RI. Living in this chaotic world of today, many people, young and old, easily get lost in the pursuit of Truth. 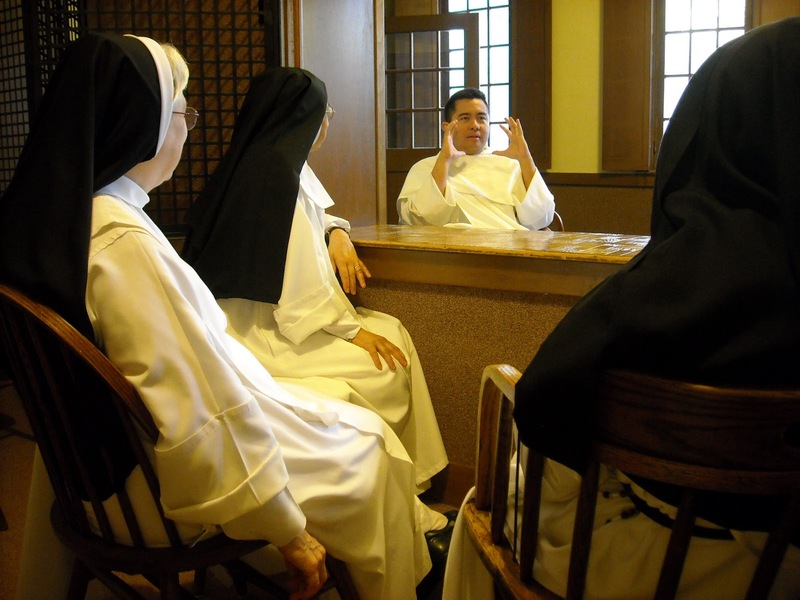 Father Nicanor possesses a wisdom that comes from the Holy Spirit, the source of all truth. May the Holy Spirit continue to shower upon Father Nicanor all the graces and wisdom he needs to guide his students to see things from God's perspective. Only when one lives and acts according to God's eternal law will one possess true happiness and taste the goodness of the Lord.